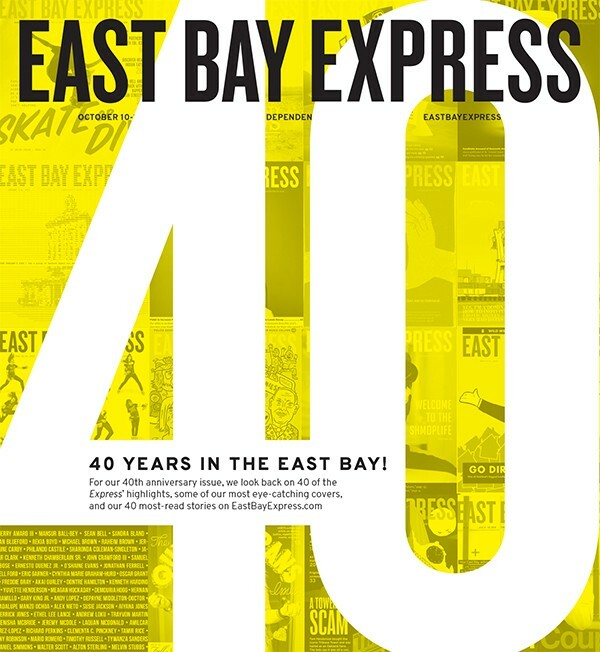 For many years after it started, the Express was the paper of record for the East Bay. I read it from issue No. 1 until it got sold [in 2001], and it became something else, and I stopped reading. While I had always liked the Express, it was Luke Tsai's food reviews that made me a regular reader. He stood out immediately as an incredible food critic. I liked his positivity and how he truly seemed to love the food and the restaurants he highlighted. Because of Tsai, I was introduced to many of my regular places to eat, including three of my all-time favorites: Pucquio, Famous Bao, and Grocery Cafe. Tsai always seemed to go the extra mile to learn about the people behind the food, which made his reviews particularly special. 2. In the cultural plan, there is a map of local cultural sites/groups, some of which have received or are in danger of receiving code enforcement action from the city for their activities. Again, a removal of agency, in that it is doubtful that all sites located on the map were asked permission to be put on the map. Whether the Building, Fire, and Planning Departments will use the cultural plan map as a "resource" for code enforcement action is unknown, but considering they have taken action based on Facebook events, it is not impossible. If I could put my experience at Farmhouse Kitchen Thai Cuisine to words, this review would be it. I can still feel the spice of the prawns. $100 is nothing. Lying about it and denying it shows [Mayor Trish Herrera Spencer] to be incapable of fulfilling the duties of her office. The [Alameda City] Charter allows the mayor a fund of $50 a month. Alameda Charter "Sec. 6-4. There is hereby appropriated to the use of the mayor in the discharge of his or her office the sum of fifty dollars each month for which he need furnish no vouchers." Take two months of the money and move on. Surely there is something more important to investigate that relates locally. The city has a $100 million general fund and this article focuses on $100? Is losing track of $100 as economically incompetent as awarding the fire fighters 3 percent raises for 2021 and 2 percent for 2022 without knowing the state of the city's, state or national economy four years ago as councilmembers Frank Matarrese and Marilyn Ezzy Ashcraft voted to do? The millions of dollars paid to overstaff excess stations and personnel is what is bankrupting Alameda. This is the best sauce in Oakland (Everett & Jones is second best). It's reminiscent of Flint's. The meat is nothing spectacular — good, but not spectacular — but I drive from Richmond and buy a container from a dollar store just to buy a pint of sauce to accompany (on the side) my own smoked barbecue.